Hi, I’m Nina Yablok. I’m a WYSIWYG attorney. I’m not a law firm – I’m me. I’m not a partner who will hand you off to an associate – I’m me. I was born and brought up in New York City. My father was an attorney and a business man. When I was in elementary school, he would bring home spreadsheets and lay them on the kitchen table and ask me to “find what doesn’t belong.” That’s how he taught me to see financial patterns. And at that same dinner table we talked about businesses, mergers, marketing and entrepreneurship. When I went to law school I spent about 20 seconds considering other fields of law and rejected them all in favor of business law. Oh, and, interesting but irrelevant fact, I drove a cab in NYC while in Law School, When I graduated I moved to California – Silicon Valley to be exact. 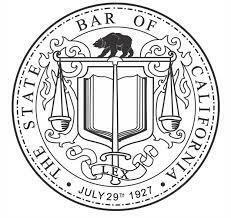 I was admitted to practice law in California in 1977. In 2014 my husband and I escaped from California and bought our house in Nemo, TX. 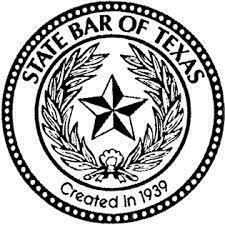 I was admitted to the Texas bar in 2016. I still represent my clients who are in California. I do most of my work sitting at home watching the cows. I’m a Texan by choice. I love business law. I love helping people start and grow businesses. That’s why I do this. If you think most business attorneys are all stuffed suits or aggressive Gordon Gekko wannabes, you may be right. But I’m not like that. I’m approachable, irreverent, funny, casual and really really good at what I do. I also know what I don’t do well, and can refer my clients to someone who can handle those things. Although most of my work is done virtually, I chose Bryan for my physical office because Fort Worth and Dallas have too much traffic (and too many attorneys); Austin is turning into California; and Bryan has so much innovation coming out of it. You’ll notice some pictures on this site of my laptop in different locations. Because I know that availability is something important to my clients I work wherever I am. I worked when my husband was in the hospital.